The dapper Dr Theman stands unfazed in a thicket of microphones and TV cameras and repeats for the umpteenth time that proposed changes to the doctors’ Standards of Practice will not, repeat, not, shut down private MRI and CT services—these private clinics fall through a gap in the legislation and are outside the College’s authority. Hmmm, says a reporter (who looks like she’d barely reached the legal drinking age), if that’s the case why is everyone talking about “banning” and ”outlawing” private MRIs? Good question! How, pray tell, did a noble effort on the part of the College of Physicians & Surgeons (College) to protect the public from being charged for services that they are legally entitled to get for free turn into a media brouhaha over blocking access to private MRIs and CT scans? Dr Theman paused…and turned the question back on the media. He said everyone started talking about banning private MRIs when the media started talking about banning private MRIs. What he didn’t say was that media frenzy was fueled by some of the most influential figures in the medical profession. It’s one thing to wade through vitriolic letters to the editor (and there were plenty); it’s quite another to discover that the most strident opponent of these changes was none other than Dr Giuffre, the head of the Alberta Medical Association (aka the doctors’ union). In a letter to the profession dated August 30, Dr Giuffre set out his concerns. He said he’d had a conversation with Dr Theman which led him to conclude that the College had completely missed the boat. OK, I’m summarizing. Dr Giuffre started with a garbled reference to the Vertes report in the Queue Jumping Inquiry and in an bizarre leap of logic concluded that the College had turned “a blind eye” to the core problem of access. Then he dragged out a number of red herrings to support his position. These included a reference to an irrelevant decision by the Supreme Court and a concern about interfering with the rights of those who have the money to buy their way to the front of private MRI lines. All of this could have been dismissed as overblown hyperbole, but for Dr Giuffre’s rhetorical question: Is it the college’s role to establish public policy of this kind and magnitude? The College regulates the practice of medicine in Alberta. It is a self-regulating body that is legally obligated to protect and serve the public interest. * This includes guiding the 7,500 or so doctors in the province by setting standards of practice and a code of ethics. To suggest that the College has stepped outside of its mandate because it wants to clarify existing standards and add a new standard to address problems that have arisen in the past is ludicrous. Given the tenor of Dr Giuffre’s comments one wonders whether he’s even read the proposed changes. If he had he would have noticed that the standards were not directed at a specific medical service like MRIs or CT scans or at a specific type of practice like concierge clinics. The standards simply reinforce two key public health principles—universality and accessibility—that the College and every doctor in the province is legally bound to uphold. The proposed changes assist physicians by clarifying the College’s expectations when a doctor relocates his practice and it becomes impractical for his patients to follow him, or when a doctor significantly alters the scope of his practice and can no longer handle his original patient load. It also clarifies an existing standard that addresses when and how a doctor may charge for uninsured medical services. There is nothing untoward about any of these changes unless a physician prefers a set of standards so full of loopholes that he could move into a concierge clinic and refuse to accept his former patients unless they fork over an annual fee (ranging from $3000 to $10,000 a year) to purchase a basket of uninsured services (like diet counseling or massage therapy) even if the patient has no intention of using these services–ever. In the business world the practice of providing a product or service on the condition that the customer buys another product or service is called tied selling. It’s illegal. The College expected the proposed standards to be contentious. Clue: when the conference room is packed with media and representatives from the Consumers Association, Friends of Medicare, Whitemud Citizens for Public Health, the general public and a woman with a soapbox you know it’s going to be a rough ride. College staff walked Council through the proposed changes and in no time everyone was engaged in a passionate discussion. Three camps emerged (there may have been more). First there were those who believed in universal healthcare and the “special relationship” between doctors and their patients. They viewed the College’s self-governance role as a privilege that must be exercised respectfully and in the public interest. The second camp supported a two-tiered healthcare system and wanted to clear the decks in order to let the market operate freely. Yikes! The third camp argued for delay. They needed more time and more data to get the standards right. They were concerned about public opinion (surely not those vitriolic letters to the editor) and questioned whether Council had the power to make this decision in the first place. Thankfully the matter went to a vote and the arguments in favour of universality and accessibility carried the day. We erupted into whoops and high-fives! Well no, not in a conference room surrounded by a bunch of doctors but later over drinks. Really Dr Giuffre, after all you’ve had to say on this topic is that the best you can do? This entry was posted in Alberta Health Care and tagged Alberta Medical Association, College of Physicians & Surgeons, Concierge Clinics, Dr Giuffe, Dr Theman, MRI. Bookmark the permalink. Brilliant. Thank you for following this Susan. You’re welcome Nigel. I was baffled by Dr Giuffre’s reaction. One would hope that a call to arms to protect private MRIs would be made with full knowledge of the facts, but apparently not. Here’s an insightful comment posted by Frank Horvath on Facebook. Frank is one of the representatives who attended the meeting on behalf of the Whitemud Citizens for Public Health. During the Council’s deliberations, Dr.Theman heroically interceded to remind everyone that the proposed changes to the Standards are focussed solely on doctors’ practice and merely strengthening the standards’ alignment with the Canada Health Act. More members of Council then began speaking in favour of approving the draft for further review by the membership and the public, and the motion was passed. Theman’s just-in-time leadership won a small, but hopefully, pivotal victory for public health. Thank you for a wonderful account of the meeting, Susan. Susan thank you for the report on the Council meeting. It must have been interesting. What bothers me the most about this Health Care Issue is that the people that are in positions of leadership and power never seem to be able to be clear on their beliefs. I still do not know what the ‘Union of doctors’ wants other than money. The government has been going around the bushes since the Ralph Klein era. I would like Fred Horne or preferably our premier to say openly whether or not they believe and want to implement the two tiered Health Care System. They have a constituency in Alberta. Somehow they seem to know that Universality is still important to most Albertans (I think) and so in order not to lose the elections they just keep hiding their ideology and keep at brainwashing and destroying the existing system until the majority has no choice. Danielle Smith is not any different and no one knows what she would do. These are the people that call themselves democrats. If you are a democrat stop lying and start fighting for your real beliefs. Do not destroy the Health Care System we have and in the process destroy the already very distorted democracy we still enjoy. People are sick of it. I repeat because maybe you need a lot of repetition – WE ARE SICK OF IT. For the election pundits that may be reading this post, please stop with the silly research on why people do not vote or care for politics – the reason is WE DO NOT TRUST ANY OF IT. The Doctors are not any different. They just seem to want more money and be free to become milionaires but they just do not know how to say it. I can help – here it is – WE WANT THE TWO TIERED HEATH CARE SYSTEM, because we want to make WAY MORE MONEY, just like our colleagues everwhere. do not make public. They are affraid of doing so. In my mind this is called being COWARDS. Let us know what you want and we will decide in an election. That is what democracy is about. The Premier instead of going on vacation to China selling our resources for nothing, should be here and trying to fix what is wrong in our province. The Chinese can take care of their issues. I am sure they know where they will get the oil they need. They already own most of Africa and soon will own us as well. Carlos you make a very important point about the lack of clarity on the issue of a two tiered healthcare system. We know where the opposition parties stand. The NDP and Liberals support a public health system and want to see it properly funded with a sustainable funding plan that doesn’t yo-yo up and down with the price of oil. Due to their libertarian ideology we think we understand where the Wildrose stands, although sometimes it’s hard to tell because they’ve been quite helpful to the public sector side in isolated cases (go figure). What we don’t understand is where the PC government stands. They say they support public health but the leaked 2010 power point that Elaine shared with us a few blogs ago indicates otherwise. I’m with you. It’s high time the PCs just stated their position and why. At least then we could have a public discussion about it instead of trying to figure out what’s really going on behind the smoke and mirrors. With respect to the Alberta Medical Association, the more I learn about the AMA the more confused I get. I do know from my doctor friends that the compensation system is out of whack–high profile specialties like radiology and cardiology get the lion’s share while other specialties, like family practice, get very little. Makes no sense to me. This is the case and it makes no sense to me, either. Radiologists and ophthalmologists and dermatologists do great work but I can’t see how they deserve so much higher compensation than family physicians (I can’t say re: cardiologist’s income, I’m not sure). A great deal of it is politics within the profession, unfortunately. Another part of it is progress within medicine. The time it took to “fix” a cataract used to be an hour. Now it’s 10 minutes. The funding model didn’t change. So ophthalmologists make 6x what they used to do. Plus, many (not all!) specialists do not have to pay overhead on their offices, nor pay their staff. Family physicians (not all!) do. One of the other things about compensation is that a family physician who sees 48 people in a day — that’s 10 minutes per patient or less over 8 hours without breaks — gets paid more than someone who sees 32 people daily … my point is, what’s a reasonable amount of time per patient? Of course, every patient’s needs are different, but I’m pretty sure most folks need more than ten minutes. So the family physicians out there who are taking their time and — hopefully by extension, doing a good job — are essentially financially penalized for doing so. Excellent comments Linda. You mentioned that the funding model failed to keep up with technological advances (your cataract example). This is the exact opposite of what happens in the private sector where advances in technology drive prices down. I am NOT an advocate of private medicine but I wonder whether the doctors pressing for more privatization (there were a few at the CPSA meeting) are aware of this. The discussion about whether to put family practitioners on salary is very interesting (and complex). I don’t know how it would work in the medical area but in the legal profession lawyers can choose to work in private practice (either for themselves or a firm) or in-house on salary. Initially the lawyers in private practice made piles of money and lawyers who moved in-house did not, but this started to change in the last 10 years. Doctors can’t just adopt the legal profession’s in-house model because lawyers can work for hundreds of employers, while doctors have very little choice—it’s either the government, universities, and maybe a smattering of private enterprises. The government (AHS) is the biggest employer and the PC government has treated the medical profession (including nurses and other practitioners) so poorly that I wouldn’t go near them with a ten foot pole. So that’s a long winded way to say, I have no idea what the solution might be but couldn’t we get a group of smart medical practitioners (including nurses, etc) to work on this problem before the government foists a “solution” upon us? Susan I agree with you about the Wildrose and I have heard Daniel Smith saying that they support the public system but knowing politicians I am not sure if that is because she is not government yet. Once she gets in there we will suddenly see all that was being hidden to get elected. We all know what she said once the problems with her two collegues happened. She very clearly said that there are certain issues that cannot be discussed before the public and one hides it until elections are over. Of course she said this in very different words (political talk) but the objective was clear. As far as the NDP I do not think there is any doubt where they stand, but the Liberals I am not so sure. Raj Sherman supports it but I am not convinced that the party as a whole does. At the Federal level they have been very wishy washy and they closed their eyes to private moves during the Chretien era. whatsoever in the Health Care Administration we have even without the two tiered situation. Good comments Carlos. I particularly agree with your last comment in which you point out that proponents of the two tier system often use the Scandinavian countries as an example but conveniently fail to mention that these countries tax their residents and their corporations (including Big Oil by the way) at a much higher rate than we do. Consequently they have more tax dollars to play with and appear to have found a way to make both systems work. It should also be remember that these countries have a higher level of social trust (the “we’re all in this together” belief) than we do. While I like the idea of looking at other jurisdictions to learn how others are managing the problem of burgeoning healthcare costs, we must take what we learn with a grain of salt and test it properly within the Canadian context. Susan I could not agree with you more about the ‘looking at other jurisdictions’ idea. I think that we should find our own solutions and I am sure that without all the hidden agendas that would be very possible. Like you stated we and Scandinavia are very different societies and the level of social trust is definitely important in terms of processes required to make our institutions work. Thank you for the report on the meeting. 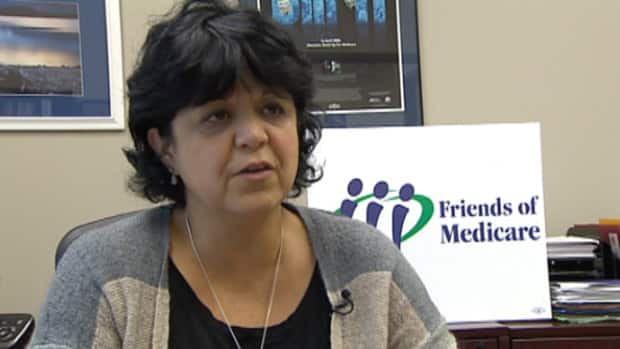 It is reassuring to know that even though there is such a strong push from some quarters in the medical profession to put their own self-interest ahead of the well-being of the public, that there are still those individuals who will remind them (and us) of their ethical, and yes even legal, responsibilities to the Alberta Public. Agreed. There were so many undercurrents flowing across the table at that meeting–not surprising when you consider how complex these issues have become. The council members raised many scenarios that might put the doctors on the horns of a dilemma. Things like: What happens if I move to a concierge clinic and I’m only allowed to bring 25 of my 1000 patients with me? Will I be in violation of the standard? What if a doctor only sees a patient once or twice a year–is that person really his patient? Who “owns” the practice, the doctor or the clinic he works for? I liked Dr Theman’s approach. He’d made a general comment quite early in the meeting saying that the doctors needed to look at these issues from the patient’s perspective. Given all the nonsense we’ve recently heard from the AMA (whose motto is Patients First, by the way) it was very refreshing. Thanks for covering this! Do you have a link to the cbc report that the screenshot of Dr. Theman is drawn from? I haven’t seen the interview you describe there. The CBC also edited out the reporter who asked why the media was talking about banning private MRIs and CT scans. At the time I thought it was a goofy question, but later realized that the reporter had stumbled upon a critical fact, namely that the (ill informed) media, with the help of the AMA, had whipped the public into a furor over something that the College had no power to change. And welcome to the Soapbox! I look forward to your comments. Thanks for your reporting on all this! It’s great. Thanks Lynette, I’m looking forward to getting your perspective on this and other topics. (Great gravatar). More shades of Russian Health care in the 70’s. Somehow had missed this one earlier. Thanks for another wonderful summary … I always learn from your posts and find them entertaining to read as well! Hope all is going well in your world. I’m packing for a week in BC flyfishing, so will (sort of) be off grid for a bit. Thanks Mare. Have a wonderful time in BC. Flyfishing–sounds like a wonderfully Katherine Hepburn kind of thing to do! Let’s catch up when you get back.